This is an another amazing game by NERDWORKING. 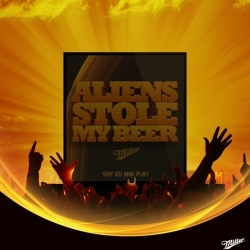 The game is called Aliens Stole My Beer! is controlled by body & sound via infrared depth camera and headset microphone. It's cool enough!